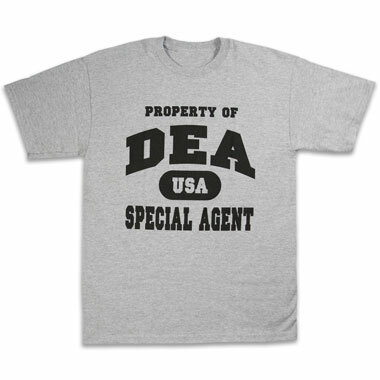 A classic T-shirt in sport grey with a black imprint: PROPERTY OF DEA. Fabric: 90% Cotton, 10% Polyester. Sizes: S, M, L, XL, XXL.